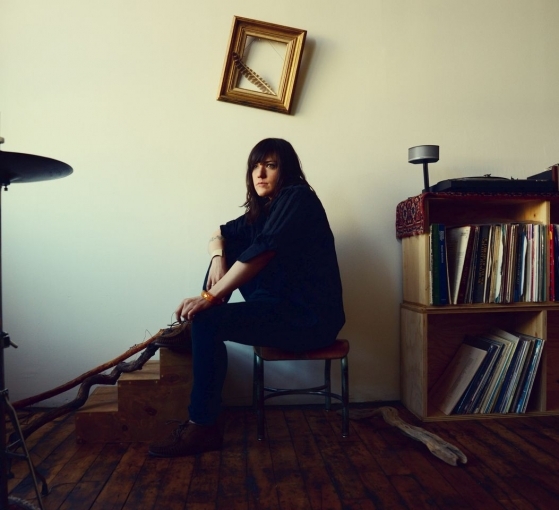 As Emily Wells prepares to release her album Mama out on June 3 through Partisan, she is pleased to confirm her first ever UK live date at Water Rats in London on June 4. Emily will also be supporting Kurt Vile on his tour for three dates across Europe. After appearing alongside Clint Mansell and Philip Glass on the soundtrack for Park Chan-Wook’s recent psychological thriller Stoker, the incredibly talented Emily Wells recently unveiled her upcoming single Darlin’. She has now also released a video of her performing the latest track acoustically. Darlin’ is one of the more dramatic tracks on her debut album, Mama. It has a psychedelic feel to it with bassy tones combined with floating, airy harmonies. It’s anthemic to say the least. Although this song sounds reasonably upbeat, there’s definitely deeper, more sombre undertones to be heard. It’s a track that expresses humanity’s vulnerability through the lyrics, “If I had any sense/If I had my innocence/I’d take you home with me…”. The acoustic version of Darlin’ strips out the psychedelic and anthemic parts to leave a completely raw, breath-taking song. It’s set for release on May 27. Darlin’ gives a beautiful glimpse of what to expect from forthcoming album Mama which combines subtle hip-hop inflections and wide-ranging sounds with Emily’s distinctive feline vocals, creating a record that is simultaneously light and delicate with a bold punch of personality. Contrasting with the heavy layering and electronics of the original, the European version of Mama sees Wells re-imagining the entire record acoustically for a second disc and mirror version. These fresh renditions of an already unique record are stunningly austere, recorded solely with voice and guitar. 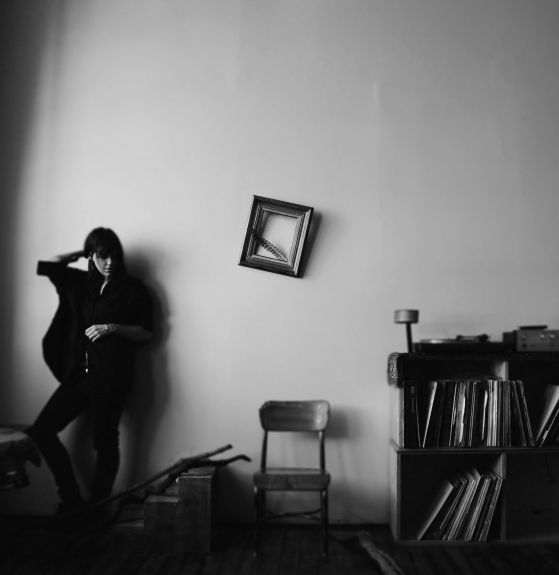 Emily Wells has stripped off her own armour, leaving only her crystalline voice and equally unambiguous song writing on display. From the start of her career, Wells’ musical interests were simply too wide ranging for just one instrument. Trained as a classical violinist, the Texan soon created her own sonic “spaceship,” an ever-growing pulsating arsenal of synthesizers, effects pedals and toy instruments all tied together with live sampling. This is a musician whose live show is diverse, distinctive and utterly her own – a performance not to be missed. After appearing alongside Clint Mansell and Philip Glass on the soundtrack for Park Chan-Wook’s recent psychological thriller Stoker with her track Becomes the Colour, Emily Wells prepares to release her debut UK album and single. Her album Mama is out on June 3 via Partisan. It combines subtle hip-hop inflections and wide-ranging sounds with Emily’s distinctive feline vocals, creating a record that is simultaneously light and delicate with a bold punch of personality. Contrasting with the heavy layering and electronics of the original album, the UK version of Mama sees Wells re-imagining the entire record acoustically for a second disc and mirror version. Wells’ new single Passenger will be released on April 29. The video is artistic and cinematic in its approach. It consists of images being shown in quick succession, using a similar style to that found in Japanese horror films. It produces an unnerving feeling in the viewer; it shows images we do not have long enough to comprehend. It takes the viewer out of their comfort zone and places them full force into an artistic creation. The debut album Mama was recorded in a cabin on a horse ranch in Tapanga Canyon last year. Most of the instruments featured on Mama were recorded and produced by Wells. With Wells’ background being classical (she is a trained classical violinist), you wouldn’t expect her to play the drums and keyboards in the style she does or produce the music she does. Mama is out on June 3 through Partisan. Live dates are to be announced soon.